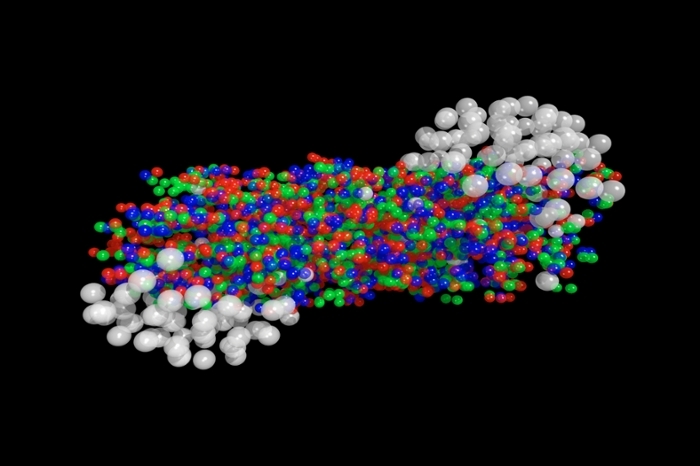 Compatible and sustainable software could revolutionize high-energy physics research at the Large Hadron Collider. 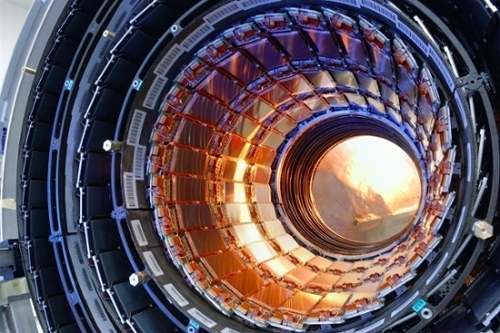 ﻿LHC software is 20 years old — time for an upgrade. DIANA project seeks to improve high-energy physics software. Machine learning algorithms will make particle identification easier. The World Wide Web may have been invented at the European Organization for Nuclear Research (CERN), but it was raised and cultivated abroad. Now a group of Large Hadron Collider physicists are looking outside academia to solve one of the biggest challenges in physics — creating a software framework that is sophisticated, sustainable, and more compatible with rest of the world. Elmer is part of a new initiative funded by the US National Science Foundation (NSF) called the DIANA/HEP project, or Data Intensive ANAlysis for High Energy Physics. The DIANA project has one main goal: improve high-energy physics software by incorporating best practices and algorithms from other disciplines. DIANA is the first project explicitly funded to work on sustainable software, but not alone in the endeavor to improve the way high energy physicists perform their analyses. In 2010 physicist Noel Dawe started the rootpy project, a community-driven initiative to improve the interface between ROOT and Python. Physicists began developing ROOT in the 1990s in the computing language C++. This software has evolved a lot since then, but has slowly become outdated, cumbersome and difficult to interface with new scientific tools written in languages such as Python or Julia. C++ has also evolved over the course of the last twenty years, but physicists must maintain a level of backward compatibility in order to preserve some of their older code. “It’s in a bubble,” says Gilles Louppe, a machine learning expert working on the DIANA project. “It’s hard to get in and it’s hard to get out. It’s isolated from the rest of the world.” Improved interoperability will make it easier for physicists to benefit from global advancements in machine learning and data analysis. One trend that is spreading rapidly in the data science community is the computational notebook: a hybrid of analysis code, plots, and narrative text. Project Jupyter is developing the technology that enables these notebooks. Two developers from the Jupyter team recently visited CERN to work with the ROOT team and further develop the ROOT version, ROOTbook. 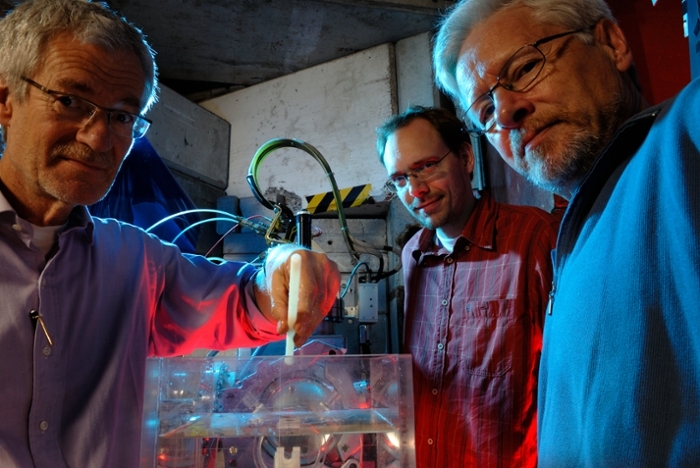 To perform tasks such as identifying and tagging particles, physicists use machine learning. They essentially train their LHC software to identify certain patterns in the data by feeding it thousands of simulations. According to Elmer, this task is like one big 'needle in a haystack' problem. But what if these programs could learn to recognize patterns on their own with only minimal guidance? One small step outside the LHC is a thriving multi-billion dollar industry doing just that. “When I take a picture with my iPhone, it instantly interprets the thousands of pixels to identify people’s faces,” Elmer says. Companies like Facebook and Google are also incorporating more and more machine learning techniques to identify and catalogue information so that it is instantly accessible anywhere in the world. Organizations such as Google, Facebook, and Russia’s Yandex are releasing more and more tools as open source. Scientists in other disciplines, such as astronomy, are incorporating these tools into the way they do science. Cranmer hopes that high-energy physics will move to a model that makes it easier to take advantage of these new offerings as well. Read the original Symmetry article here.